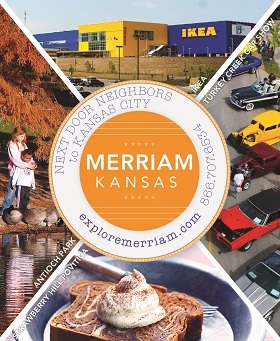 Ranked #76 on Livability's "Top 100 Small Towns," Merriam is a charming, yet contemporary, suburban town located just minutes from downtown Kansas City! It is our pleasure to host your business trip, group tour or leisure visit and we are certain that you will find everything you’re looking for nestled right inside our community! During your stay, we invite you to explore Merriam and all that we have to offer—our rich heritage, fantastic arts and events, plentiful shopping and dining, numerous regional attractions, beautiful nature parks and trails and friendly, affordable accommodations await you!